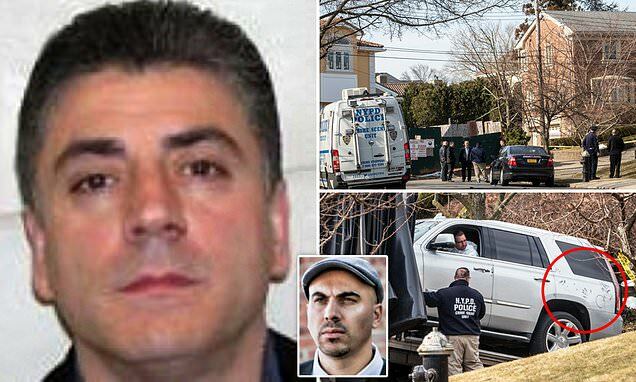 A Mafia heir and a close friend of slain Gambino crime boss Frank Cali has paid tribute to the mobster after he was gunned down outside his family home. Giovanni Gambino told DailyMail.com that 53-year-old 'Franky Boy' was a constant feature in the New York charity scene and was someone he looked up to growing up. The head of the notorious family was shot and killed in a hail of bullets in Staten Island, New York, on Wednesday night in a slaying that shattered a 30-year peace between the Five Families in the Big Apple and could lead to more bloodshed. 'Nobody gets away with anything . Especially killing a good man,' he added. Giovanni's cousin Carlos founded the Gambino crime family in 1957 when he immigrated from Italy and his father Francesco 'Ciccio' Gambino was one of the leading members. Francesco died in federal prison in 2012 while serving a 30-year sentence for trafficking heroin from Sicily to the United States. Cali maintained a 'low-key' lifestyle, was a good friend to his family and always supported his passion to become a writer, Giovanni says. Cali is the basis for the protagonist in his novel, The Prince of Omerta. Cali's murder on Wednesday night was the first hit on a Mafia boss since John Gotti arranged the assassination of then-Gambino head Paul Castellano in 1985. Cali was shot six times and run over by a blue pickup truck outside his redbrick house in the upmarket Todt Hill neigborhood of Staten Island. Police are now hunting the killer.